Thursday, 17 January 2019, 10:43a.m. The ill-fated MH370 plane which crashed into the Sumatra sea. 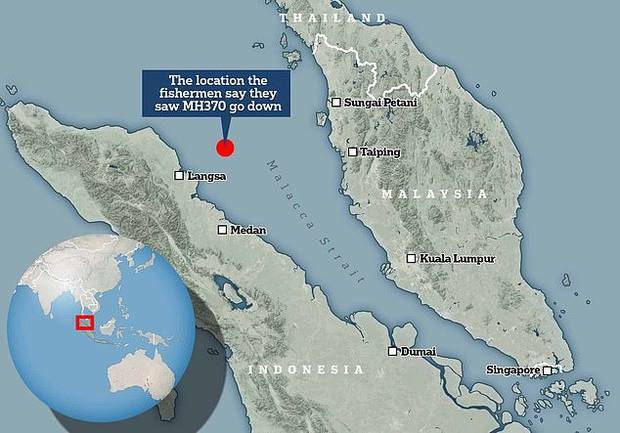 An Indonesian fisherman who claims to know the exact spot where the ill-fated MH370 plane crashed into the Sumatra sea has handed over the coordinates to investigators. Last month, Professor Martin Kristensen, an engineer at Aarhaus University in Denmark, published a mathematical analysis of the flight data, and claimed the plane went down near Australia's Christmas Island. 'There was no noise, just black smoke as a result of fires before it crashed into the water,' fisherman claims. Image / National Geographic simulation of crash. Almost five years after the aircraft vanished on March 8, 2014, investigators have had little luck in finding the wreckage of the plane that vanished with 227 passengers on-board. After spending years combing an online map of the Indian Ocean, the amateur crash investigator claimed to have found a plan wreckage 'riddled with bullet holes'. Sitting just off the coast of Round Island, north of Mauritius, in an area of ocean that has not been previously searched, Mr McMahon claimed investigators were refusing to dive in the area because they want to 'hide' crucial information. 'They have made sure that all information received has been hidden from the public, even our government, but why?' he said. Theorists suggested that Capt Shah may have been practicing landing the plane on the island's airstrip, which is controlled by Britain but is home to a US naval base. In a 2014 poll on the MH370 disappearance, five per cent of American respondents said they believed it had been affected by 'alien activities'. British author Norman Davies claims Boeing's 'Honeywell Un-interruptible Autopilot on board computer' - which was featured on MH370 - could have been hacked and the plane flown to a secret location. 'There are reports that the cargo detailed in the manifest didn't add up,' he told The Sunday Times. 'The first kidnap was by the Americans, who wanted to stop the plane getting to Beijing and planned to divert it to Diego Garcia [a US naval base in the Indian Ocean], and then somebody hacked it to stop it from getting there,' he claimed. Former Australian prime minister Tony Abbott is among those to support this theory, saying in the lead up to the third anniversary of the plane's disappearance he found it 'plausible'. It was later revealed the crash was orchestrated by co-pilot Andreas Lubitz, who had previously been deemed unfit to work by a doctor over 'suicidal tendencies'. Keen followers of the mystery have suggested that during this time the search boats may have been involved in a cover up, after coming across the wreckage. 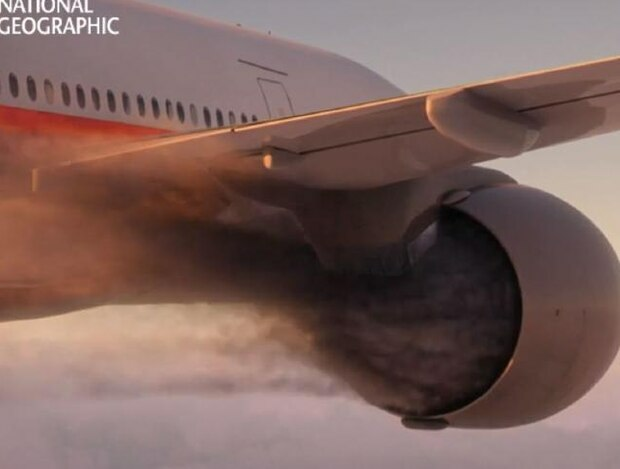 Writing on his Google Plus account, Mr Goodfellow claimed that in the event of a fire or other incident, pilots would have attempted to make it to their closest runway - a 13,000-foot strip on the Malaysian island of Pulau Langkawi - but never made it. 'For me the loss of transponders and communications makes perfect sense if a fire,' Mr Goodfellow wrote. 'In the case of fire the first response is to pull all the main fusses and restore circuits one by one until you have isolated the bad one. 'The extra passenger likely acted in conjunction with larger external operational support to take full command and control of the cockpit of MH370,' Mr Milne claims. A Malaysia Airlines spokesman said a discrepancy on the 'load sheet' hours prior to the plan taking off had occurred, with the actual number onboard 227 people - a dozen less than initially listed. 'The actual figures can differ from that transmitted on the load sheet due to last minute changes,' the spokesperson said. Was there a stowaway aboard MH370?